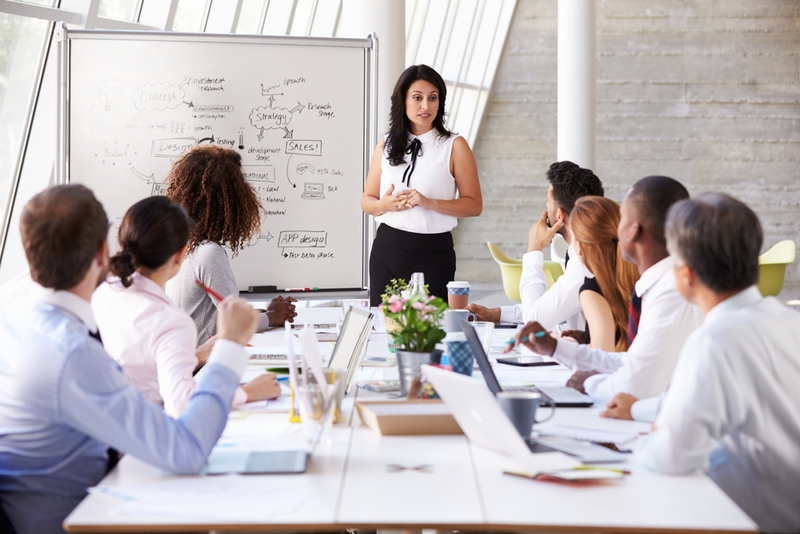 If you’re a girl boss in the corporate world, or operate your own business, you’re probably devoting a decent amount of your time and energy to discover new ways you can motivate and communicate with your employees. Ever thought of texting them? While this might seem strange at first, more and more companies are turning to corporate text strategies to communicate with employees. When you think about it, it makes sense — emails often get lost in the shuffle but people usually read their texts right away. Sound intriguing? If you’re looking for a relevant to communicate with your team, here’s how a business texting service can help you. While you’re probably used to texting coworker one-on-one, mass texting campaigns are different. What we’re talking about here is using a service for corporate texting that allows you to send one-on-one texts or text your entire workplace at once. Sending a mass text that gets the whole office on the same page at once can be an effective way to reach everyone with your message. Plus, you can use texting to automatically send personal reminders and updates. Here’s how. It’s important to keep your employees in the know about company events and updates. Unless you’re managing an office of employees hooked up to their email at all times, your staff may not use email for professional correspondence at all. Restaurant and retail employees, for example, are unlikely to rely on anything but phone calls and text messages for communication with their managers and coworkers. Even if you are working in the office world, emails often get lost and missed. Using mobile marketing solutions to connect with employees can automate the system so it’s quick and easy. Your staff will stay in the loop about important events and company news, and you won’t have to deal with the nitty-gritty of getting in touch with everyone. In case of issues like cancellations or emergencies, you’ll be especially glad to have your text services already in place. Just send off a single message letting staff members know about last-minute problems and save time when it matters the most. When you’re leading a team of people, it can be difficult to make sure everyone stays on the same track. Corporate texting solutions for employees can help because you can text all your employees from one convenient online dashboard. Your team members are just a quick text message away from the latest updates and notifications. You can create one big list to message everyone at once or segment your list so that you can specifically target members of a certain business unit or team. Delegate by giving team leaders access to send mass text messages to their team. If you need to get a last minute update or memo to a large number of people quickly, an email or paper memo isn’t going to do the trick in time. Bulk text messaging is far and away the fastest way to get in touch with a large amount of staff members. You don’t need to send a long email when you’re in a time crunch. Need to make sure they got the info? SlickText offers two-way texting, so your employees can reply to you using the shortcode if receipt confirmation is needed. Want to keep your staff’s skills razor sharp without investing the time and energy into a full training session? Use bulk text messaging to send out mini training sessions throughout the month. If you’ve got a link or a lecture you really want your staff to check out, send it through our text services. Not only will every employee receive your content directly in their text inbox, but you can also track the open rates of each link sent in a text campaign. You can make sure they’re fully getting the information you’re taking the time to send. Bulk text messaging can be especially valuable for girl bosses who are in charge of remote employees. It can be difficult to connect with staff members who don’t require any in-office face time. Using mobile marketing solutions to provide training can make sure all employees are on the same page, no matter where they may be located. A healthy work environment needs engaged employees to thrive. Mobile marketing solutions offer a way to get valuable feedback from your employees — you can create text surveys to send to employees to get their feedback. Anonymize the data or track it. You can schedule these surveys to be recurring if you want to gather regular feedback or to be one time events. Should you start texting your employees? Find a corporate texting service that looks like it will meet all your needs and sign up for a free or basic plan. While this might limit some of the features available to you, it should be robust enough that you can get a good feel for if text messaging for business is the right strategy. Use a business unit or team as your test subjects. Let them know you’ll be trying out some corporate text messaging strategies for the next month. Be upfront with them that this is an experiment and depending on their feedback you may roll it out company-wide or not. Regularly use the text surveys feature to ask your test subjects questions about their experience throughout the month. You can make their answers anonymous so they feel more comfortable being candid. Review your data at the end of the month and decide at that time how you’ll move forward with text messaging. You could decide to use it only for emergency alerts or notifications, to use mass texting for regular employee communications or to stick with what you’re already doing. By giving text messaging a shot, at least you’ll have the data to support your decision.